Please join author Jenny Barden as she tours the blogopsphere for The Lost Duchess from May 26-June 20. An epic Elizabethan adventure with a thriller pace and a high tension love story that moves from the palaces of England to the savage wilderness of the New World. Emme Fifield has fallen about as far as a gentlewoman can. Once a lady-in-waiting to Queen Elizabeth, her only hope of surviving the scandal that threatens to engulf her is to escape England for a fresh start in the new America where nobody has ever heard of the Duchess of Somerset. Emme joins Kit Doonan’s rag-tag band of idealists, desperados and misfits bound for Virginia. But such a voyage will be far from easy and Emme finds her attraction to the mysterious Doonan inconvenient to say the least. 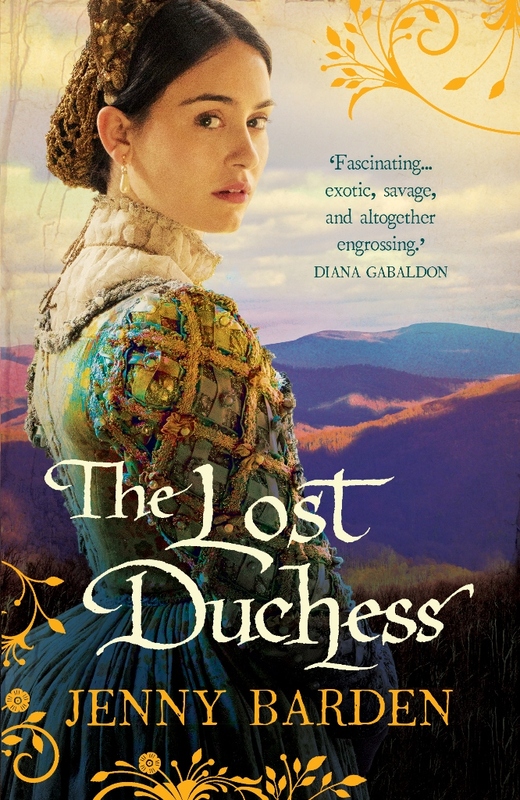 Ever since Sir Walter Raleigh’s settlement in Virginia was abandoned in 1587 its fate has remained a mystery; ‘The Lost Duchess’ explores what might have happened to the ill-starred ‘Lost Colony’ of Roanoke. I’ve had a love of history and adventure ever since an encounter in infancy with a suit of armour at Tamworth Castle. Training as an artist, followed by a career as a city Jenny (Portrait 2)solicitor, did little to help displace my early dream of becoming a knight. A fascination with the Age of Discovery led to travels in South and Central America, and much of the inspiration for my debut came from retracing the footsteps of Francis Drake in Panama. 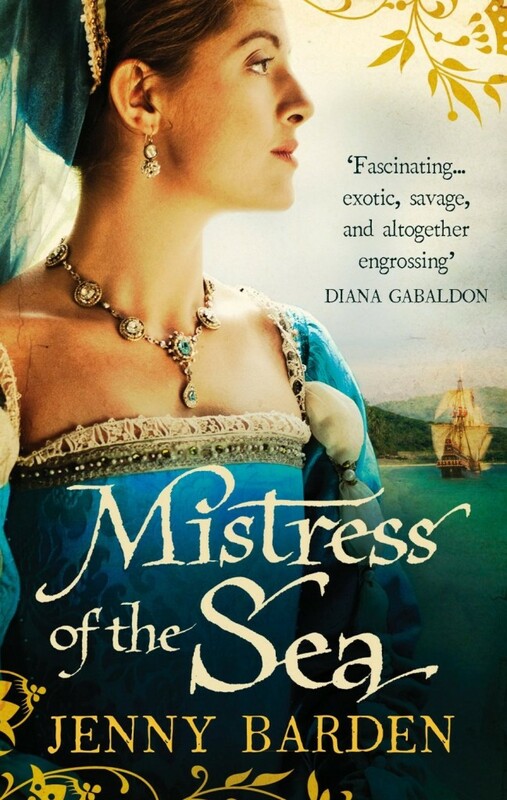 The sequel centres on the first Elizabethan ‘lost colony’ of early Virginia. I am currently working on an epic adventure during the threat of invasion by the Spanish Armada. 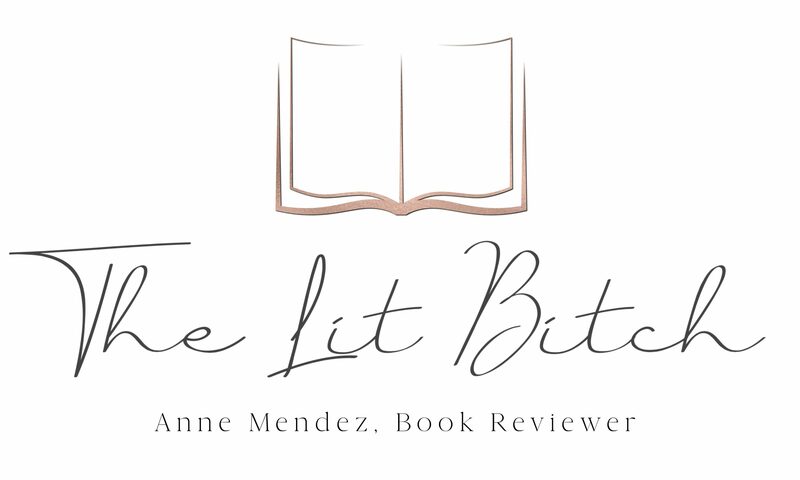 My work has appeared in short story collections and anthologies and I’ve written for non-fiction publications including the Historical Novels Review. I am active in many organisations, having run the ‘Get Writing’ conferences for several years, and undertaken the co-ordination of the Historical Novel Society’s London Conference 2012. I am a member of that organisation as well as the Historical Writers’ Association, the Romantic Nevelists’ Association and the Society of Authors. I’ll be co-ordinating the RNA’s annual conference in 2014. I have four children and now live on a farm in Dorset with my long suffering husband and an ever increasing assortment of animals. I love travelling, art, reading and scrambling up hills and mountains (though I’m not so keen on coming down!). Mistress Cooksley may be a wealthy merchant’s daughter, but she blushes at my words and meets my eyes look for look. Yet I cannot hope to court her without fortune, and a dalliance with a pretty maid will not hinder me from my path. Captain Drake’s endeavour might bring me gold, but I, Will Doonan, will have my revenge. The Spaniards captured my brother and have likely tortured and killed him. For God and St George, we’ll strike at the dogs and see justice done.